Khyber Pakhtunkhwa took the initiative first by introducing its job-based website kp.gov.pk/page_type/jobs dedicated to vacancies by KP Government. The website lists all vacancies (with indication whether closed or open) of all departments and directorates in Peshawar and across KP province. 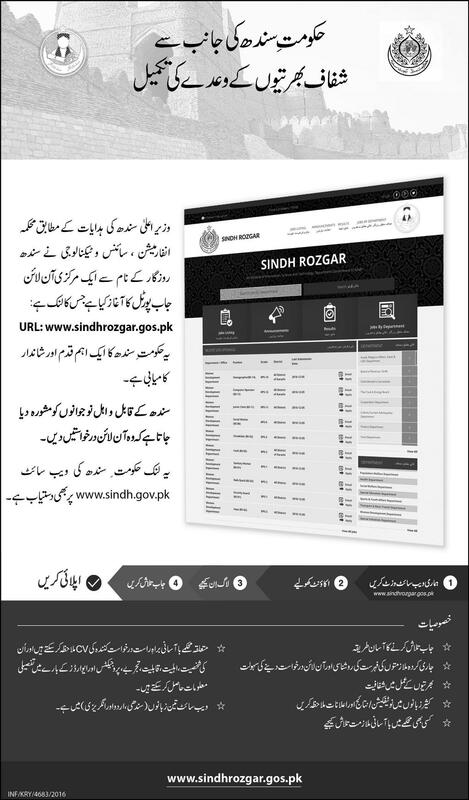 Recently, Sindh Government has also announced a job search portal sindhrozgar.gos.pk for Sindh residents showcasing latest vacancies announcements by the Sindh Government in Karachi and across Sindh. These initiative are great from users perspective since eligible candidates can apply online with the convenience to see results and information related to their applications. Previous articleThe Right Career Choice – Starting or Changing Careers! Next articleGovernment Jobs vs Private Jobs: What is best in Pakistan?